Review of "Rapid Racquet Repair, LLC"
Drop-Ship Tennis Racquets - Freshly Strung with Free Delivery! After moving to AZ, the company has announced it is closing as of Feb 2018. The concept and problems it solved for tennis players were sound, but I feel the financial model and margins of tennis stringing are still too low for mass scaling and shipping at this point in time. We wish Ryan nothing but the best for his future tennis career - an excellent USPTA coach if you ever need one in AZ. I was approached by the owner, Ryan. 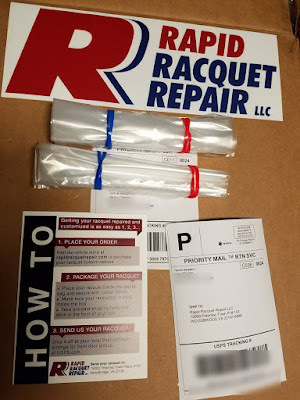 At first, I was skeptical and worried about the idea of putting my racquets in a box and mailing them. But with the Spring Season warming up, we decided to test out an interesting new tennis startup company. It offers door-to-door shipping service. Time to restring! What is Rapid Racquet Repair? 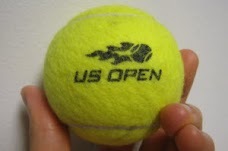 Tennis stringing in the USA with free door-to-door delivery. I watched his youtube videos and when I spoke to him in person, I knew Ryan was the real deal. He is USRSA Master Racquet Technician certified and a full-time tennis club pro. If they are busy, you typically may wait up days or even up to a week for the stringer. Your tennis racquets will be absent from your bag until they are done. Also, you'll need to plan a trip out to pick them up, during the shops operating hours. With RRR, you get it delivered straight to your mailbox. More importantly is the quality of the stringing. Often at some pro shops, you may not even know if the stringer is a certified USRSA racket technician. At most pro shops, you might get stuck with an inexperienced part-time college student that handles your racquet. Then you are at the mercy of whoever is available that day. With RRR, it's always a certified USRSA Stringing Pro. 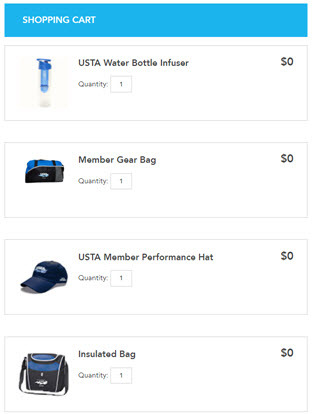 Any regular USTA league player will tell you that before an important match, you want to *know* that your equipment won't fail you. Reliable strings for any avid tennis player are a must. Helpful "String Selector" menu option for choosing your string. Popular strings are available for selection online, while other brands and gauges must be custom ordered. They do not accept your custom strings to be installed. 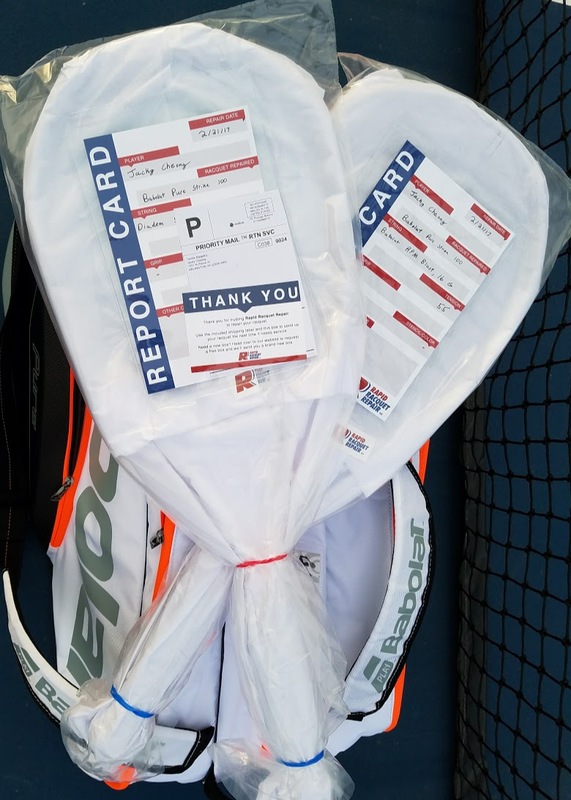 Leaving racquets out in the elements could be an issue in the hot summer months. I decided to get a Free Box from their website. It arrived the next day. I sent off my 2 Babolat Pure Drive racquets. For strings, I tried a new Diadem Power 16L poly as well as the RPM Blast 16 (as a control). String tension was accurate @ 55 lbs on the string bed. They were handled with very good care and the packaging showed attention to details. The frames, grommets, and my dampeners were returned in good condition. Finally, these strings played great during practice sets over the next few days with no noticeable loss in tension or issues. 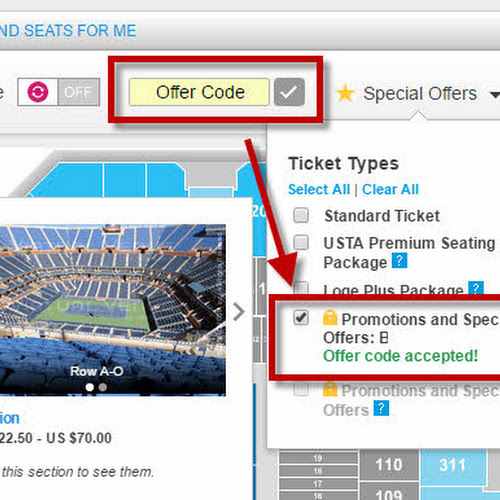 I would try them out by using their "FREE BOX" offers to get a free box (fits up to 2 racquets). Give it a try with their free delivery service. If you are short on time and/or do not live near a certified stringer, this might be a great option. *Please mention you saw this "Tennis Bargains Review" when you order and Ryan will know you are a tennis fan*. Unlike Stringbox, there is no $10/month membership to pay. I like that I can start and stop whenever without worrying about wasting my membership. Also, it is a $19 flat charge per Stringbox when you ship. Also as stated in the Tennis Magazine review, currently the Stringbox total turnaround time is "just over a week". For me, that feels like a long time! Maybe if you live in Florida, that may be shorter, but if you are shipping from elsewhere, remember with long-distance shipping that it may add 1-2 days extra each way - which would double to 2-4 days extra roundtrip in transit. For those living near the DC/VA/MD areas, I would much rather ship my racquets locally and save that extra time in transit. How do you keep your strings "fresh"? If you do not, then chances are you're changing your swing to compensate (aka poor technique). Getting them sent to and from your normal tennis shop can be a hassle - gas, time and reminders. Even if you buy your own stringing machine, you will most like spend a lot of time on stringing. One should be prepared to spend 1+ hr/racquet to learn to restring initially before you become better. The alternative (easy button) option was Sports Authority. But now that they are out of business. So where to go and how much to pay is one of the top questions we get asked all the time. At the beginning of each new season, it is smart to get new strings with the proper tension.